Should believers bring on the booze? Is the moderate use of alcohol for recreational purposes a way Christians can reach today’s culture? Some believers in this postmodern era of indulgence say an attack on the prevalence of social drinking amounts to legalism worthy of the Pharisees. Dealing with one of the most debated issues in Christendom today, Peter Lumpkins explores the various views on drinking beverage alcohol. 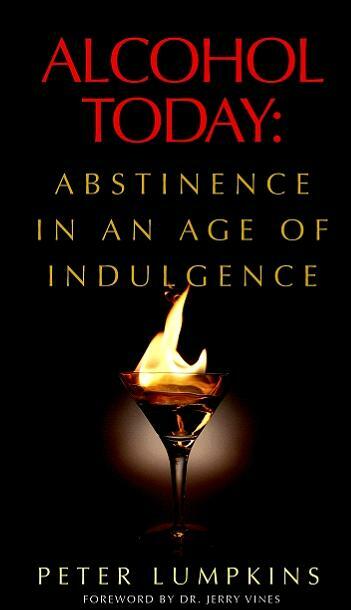 In Alcohol Today: Abstinence in an Age of Indulgence, he dissects them with a surgeon's precision and then stitches them together to form a devastating argument against any recreational use of this mind-altering drug. Lumpkins blends an exhaustive scholarly study with courageous conviction and reasonable obedience as he strikes a blow for total abstinence from alcohol. His definitive book is the first of its kind in many decades and is sure to stir debate from a wide variety of sectors. Peter Lumpkins has dealt skillfully and biblically with one of the real hot issues in our land today. He has carefully examined the scriptural texts and gives a clear case for how committed believers are to approach this subject. He has convincingly presented the case for abstinence as the scriptural pattern for this issue. Peter Lumpkins is a Southern Baptist minister living in West Georgia. For more than 20 years, Peter served as a pastor in Kentucky, Tennessee and Georgia. Presently he serves as editor of a developing small-group Bible study series. Peter has degrees in religion and philosophy (B.A. ), theology (M.Div.) and expository preaching (D.Min.). He also completed graduate work in bioethics. He writes a popular blog, SBC Tomorrow, which can be found at www.peterlumpkins.com.